I don't seem to be able to make the skip logic work. can i speak to someone about this? 1. Add a radio button field. This will be the basis to what page I want the user to be navigated based from the selected radio. 2. 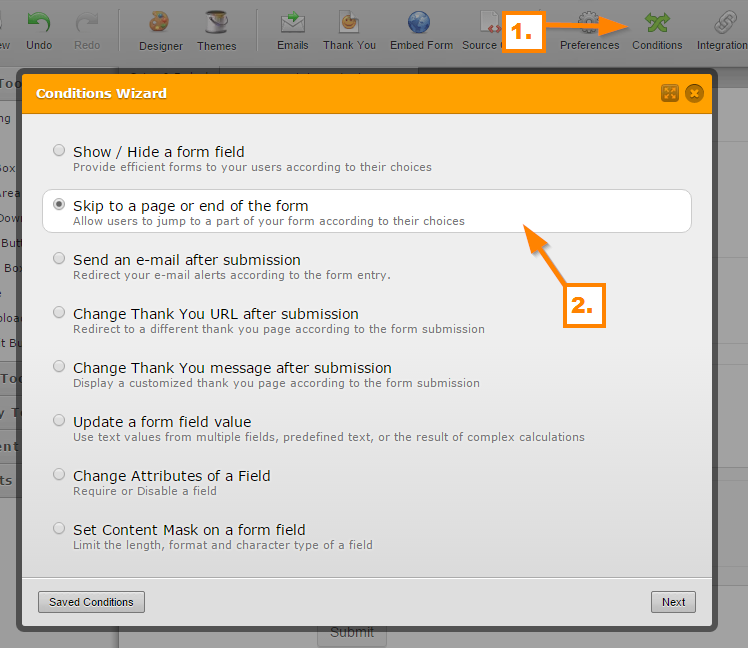 Click the "Conditions" and choose the "Skip to a page or end the form". 3. 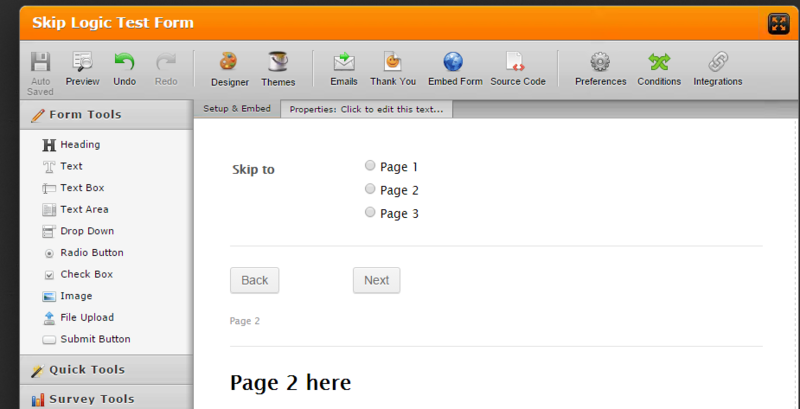 Here you can set the rules to what page you want to navigate. Here's an example of mine. 4. This is how it works: http://form.jotformpro.com/form/52144046995965. Just make sure that the rules you setup won't conflict with the others you have. Do let us know if you are having problems on setting this up, we'll be more than happy to help.